This is the perfect (and affordable) lifestyle property. It should be your next home, or your first lifestyle. Set on the outskirts of the beautiful village of Kimbolton. This property is in 2 titles making a combined area of 1.1432ha or 2.8248 acres. 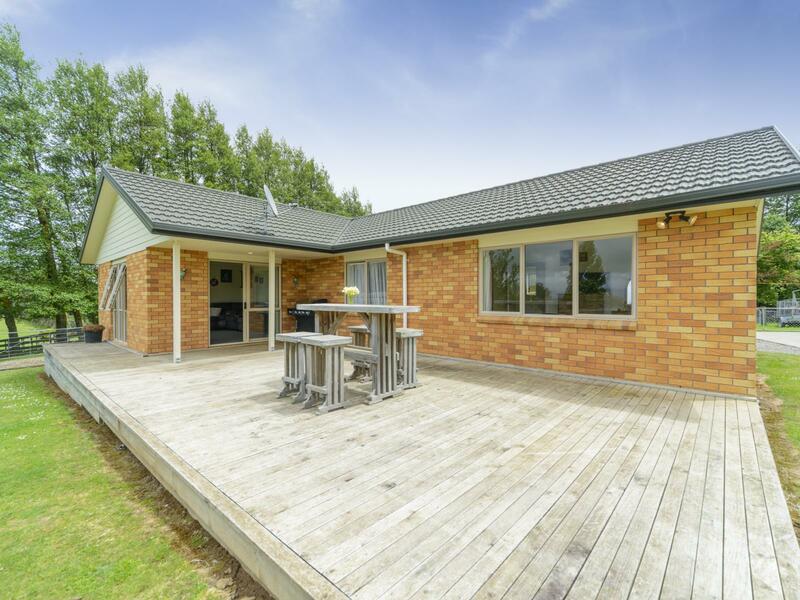 The property is subdivided into fenced paddocks and is connected to the Kiwitea water scheme. This modern home (117m2) has 4 bedrooms and a million dollar view from the living area and deck. It's complemented by a garage that is currently used as a sleep out with its own bathroom and "man cave"/single garage. The real bonus is the 3 bay sheds. 1 covered in, as a workshop, with all boasting a 4.5m roofline. Call today as the vendors have made an offer on another property and are ready for their next step.